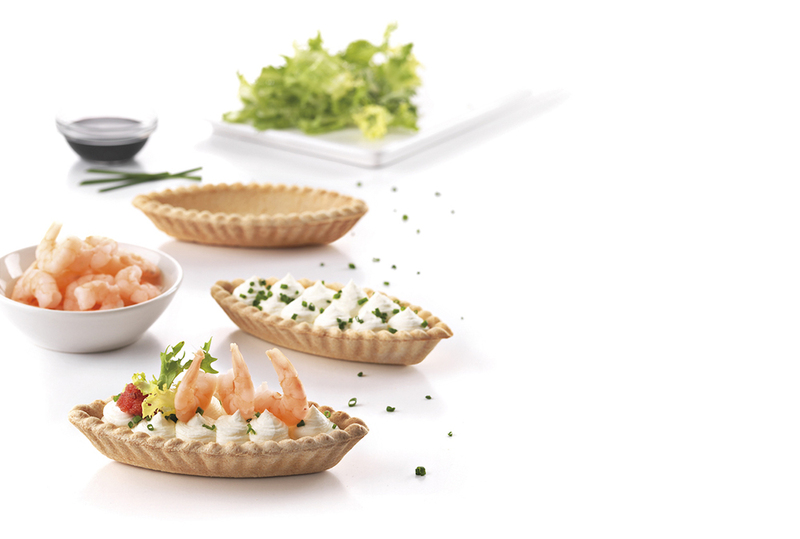 With a pastry bag, fill the boat shaped tart with the fresh cream cheese. Top with the shrimp, garnish with the escarole, the roe and the diced chives. Dress with the balsamic glaze.